Contact Broward County, Florida Car Accident Attorney Gerson & Schwartz, P.A. Although they occur daily, nobody is ready to be involved in an auto accident. The emotional toll from these incidents alone is draining, and the situation is often much worse when serious personal injuries or property damage is involved. It is common to be confused about your legal rights after an accidents. Who do you need to talk to? What paperwork needs to be filled out? Should I file a lawsuit? Every situation is different, but remember that attorneys exists who can handle all of the details of the case on your behalf, without you paying a dime up-front. If you have been involved in a Pembroke Pines car accident, it is in your best interests to contact a Pembroke Pines accident lawyer, who will help walk you through the successful path to financial recovery. You may be contacted by an insurance company shortly after the accidents. In many cases, different companies are involved: yours and the insurance of any other individuals involved in the accident. While insurance agents may be very friendly, helpful and caring about your situation, it is critical to remember that your interests and theirs usually do not align. Far too many Pembroke residents end up not receiving the full award that they are owed, because they do not seek their own outside support. Keep in mind that insurance companies are big businesses that are acting in the best interest of their shareholders. That means that the company’s goal is to pay out as little as possible, maximizing their own profits. This is sound business for the insurance company, but it obviously is harmful for the policyholders who are seeking fair compensation following loss in an accident. Sadly, the only way some insurance companies finally agree to work openly and honestly with an injured party is when an experienced attorney steps in and demands fairness. The bottom line is that it is essential to hire a Pembroke Pines car accident lawyer following any sort of auto collision in our area. Failing to do so puts your recovery at the whim of insurance companies. If you or someone you know has recently been involved in a Pembroke Pines car accident, there is a chance that you have legal rights to recover for your losses. To secure what is due, please contact an experienced car accident attorney today--before you talk with insurance company representatives or others. 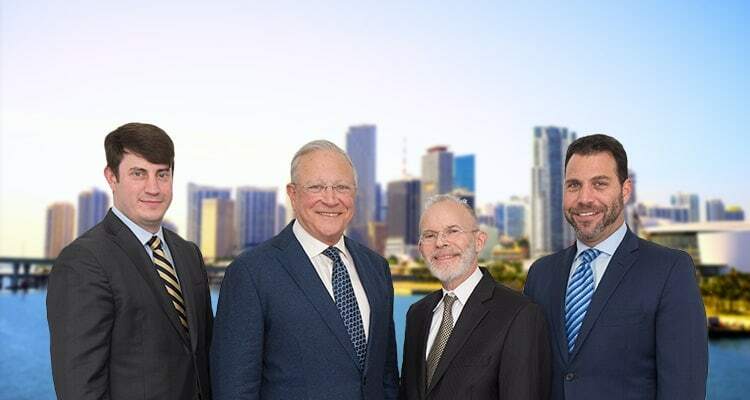 In the Pembroke Pines areas, the experienced car accident lawyers of Gerson & Schwartz, at (877) 475-2905 are available now to discuss your situation at no charge. Our legal team with hear about your case and explain if there is anything we can do to help secure recovery for your losses. We work on a contingency fee basis, and so there is no charge unless we secure compensation on your behalf. It is important to act quickly at these times, because certain cases may have legal time limits. Please call now and see how we can help. As the second largest city in Broward county, tens of thousands of travelers make their way across the Pembroke Pines roads and nearby highways each and every day. For one thing, many use Interstate 75, which cuts through the city, segmenting an area often referred to as “West Pines.” It is the largest city by land area in the country; its size increase the overall car traffic and the likelihood of accidents.